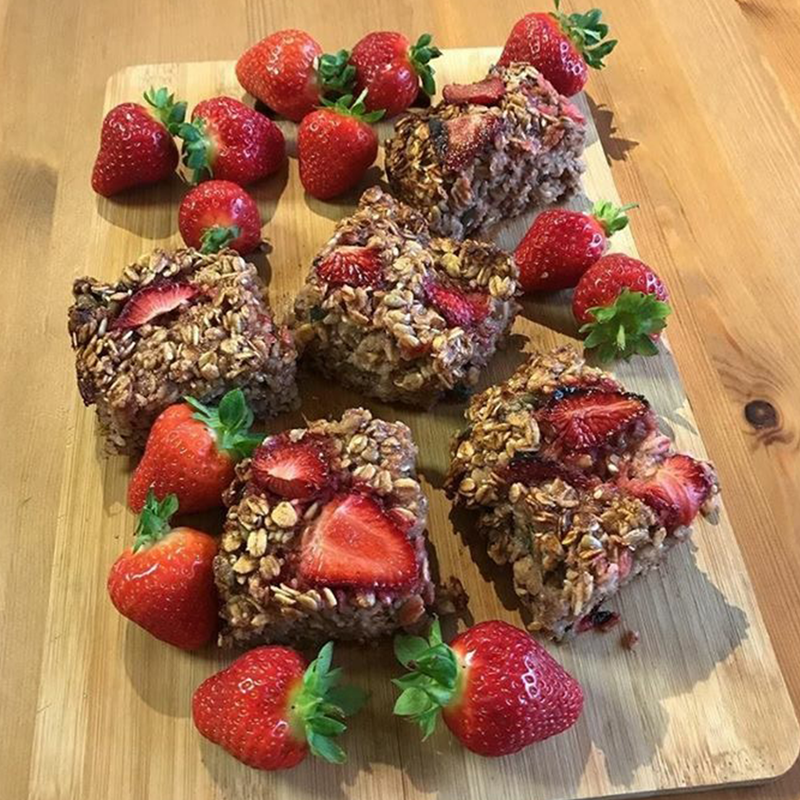 This healthy bar is top heavy with delicious berries and bottom heavy with banana and seeds. Super easy to make, this recipe will impress everyone and you’ll also look like a bit of pro in the kitchen. In a food processor or using a stick blender, blend the bananas and ? of the strawberries, the vanilla, the honey and the oil into a smoothish paste. In a mixing bowl, combine the oats, coconut, seeds and salt. Add the dry oat mix to the wet banana mix and combine well. Leave to cool in the tin for 10 minutes, then cut into squares. Cool further on a wire rack before eating.